Want to be notified of new releases in rhardih/pong? A minimal availability monitoring system with email alerts and push notifications. Pong is a dockerized Rails application run via docker-compose, so both a host running docker and a client with compose are required. By default Pong uses mailgun as delivery method for ActionMailer. There's no specific reason other than easy integration via mailgun-ruby, and because they have a free plan with more than enough monthly sends for the purpose of occasional email alerts. Since the free plan doesn't allow ad-hoc delivery, it's necessary to add the alert receiver as an Authorized Recipient in the mailgun account settings. The application expects the following environment variables, either added in the default compose file, or added in the .env file. 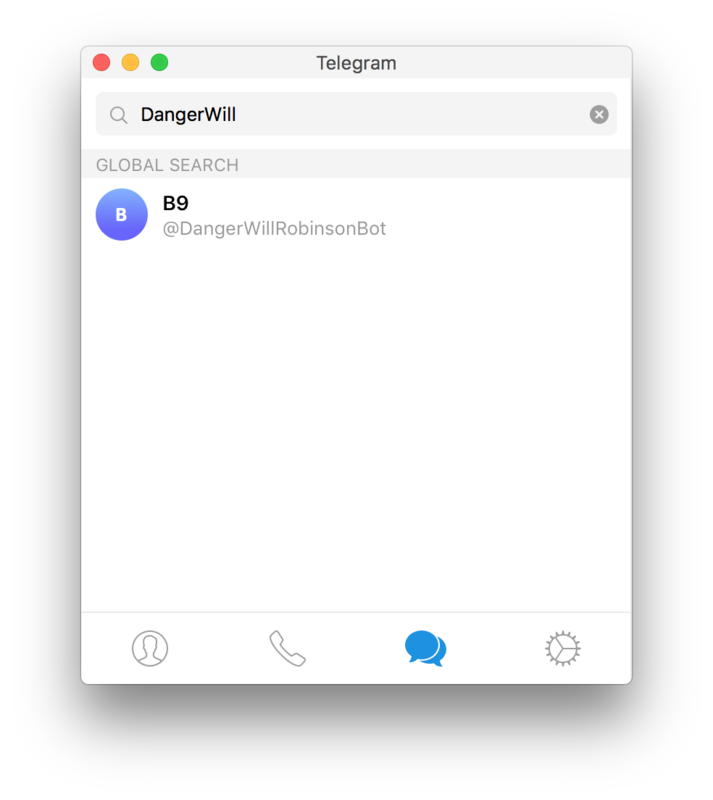 The sender is set as as default from address for all alerts, and the receiver is the target address for all alert mailings. For now Pong only supports a single global receiver. 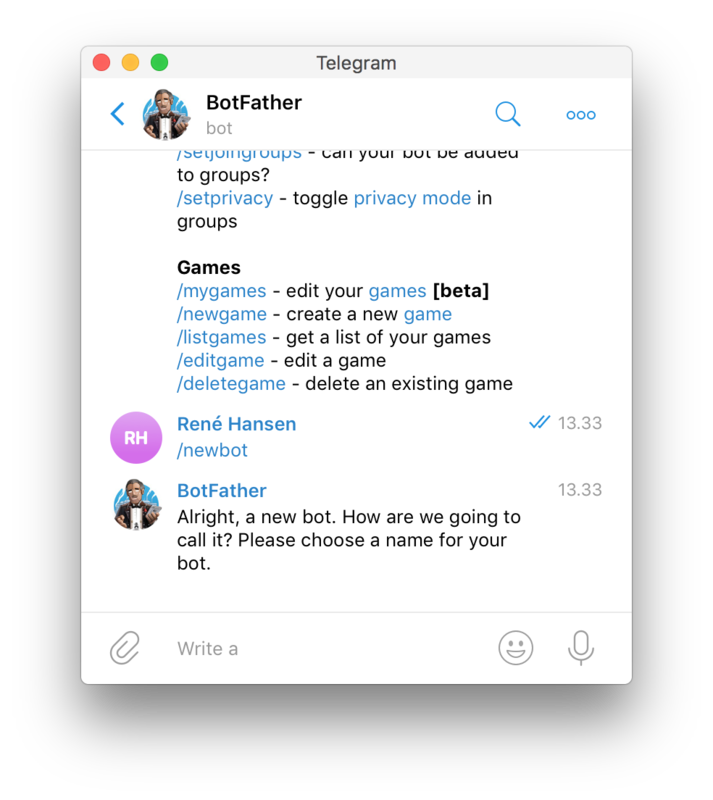 Pong supports push notifications, via direct chat messages over Telegram. 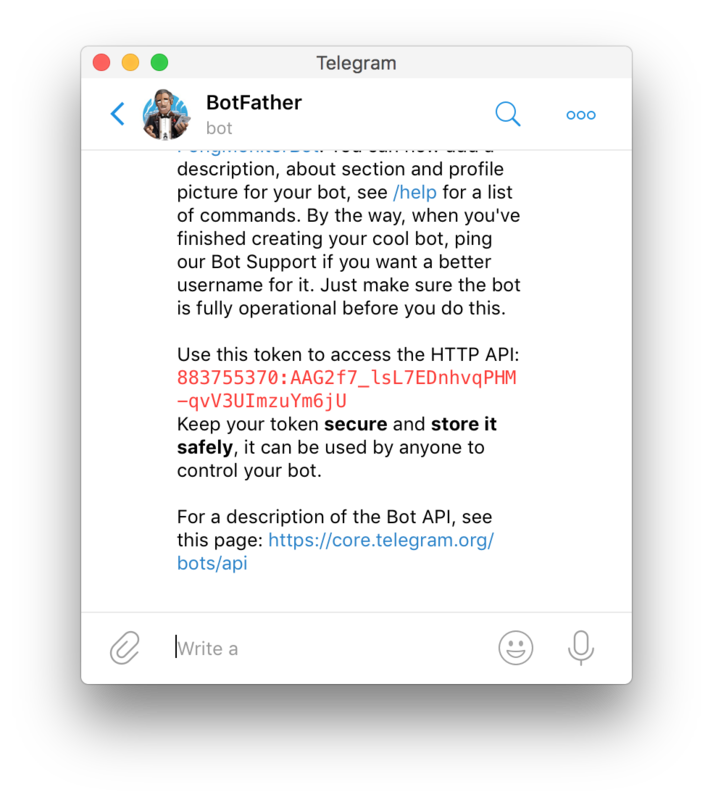 This requires creating a dedicated Telegram bot and corresponding API key. 1. 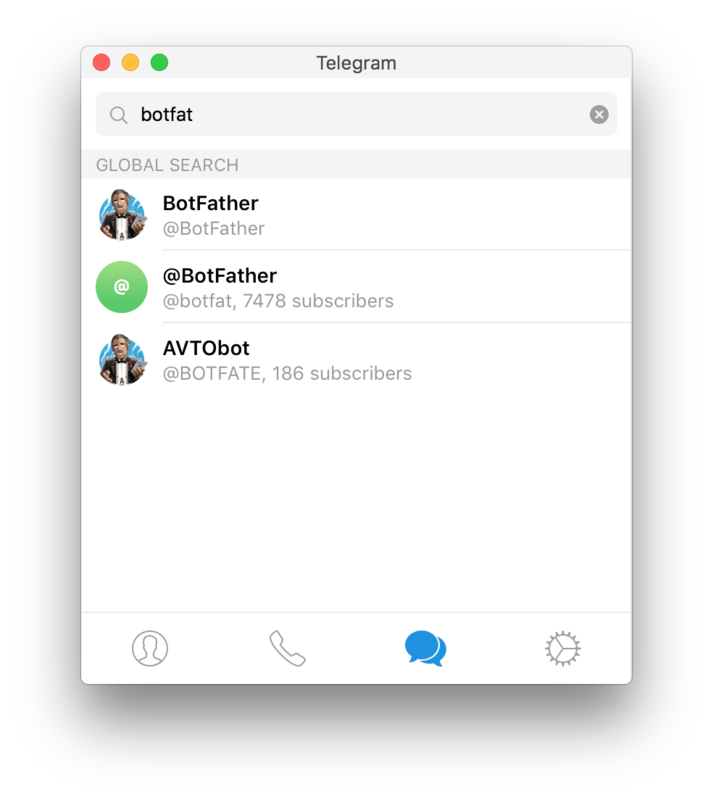 Open the application, search for botfather and start a chat. 2. Create a new bot by issuing the /newbot command. 3. Go through the naming steps. Any name will do, but you'll need it shortly, so make it something you can remember. Once done, you'll be given a token to access the HTTP API. 4. Copy the API key into the the .env file for Pong. 6. 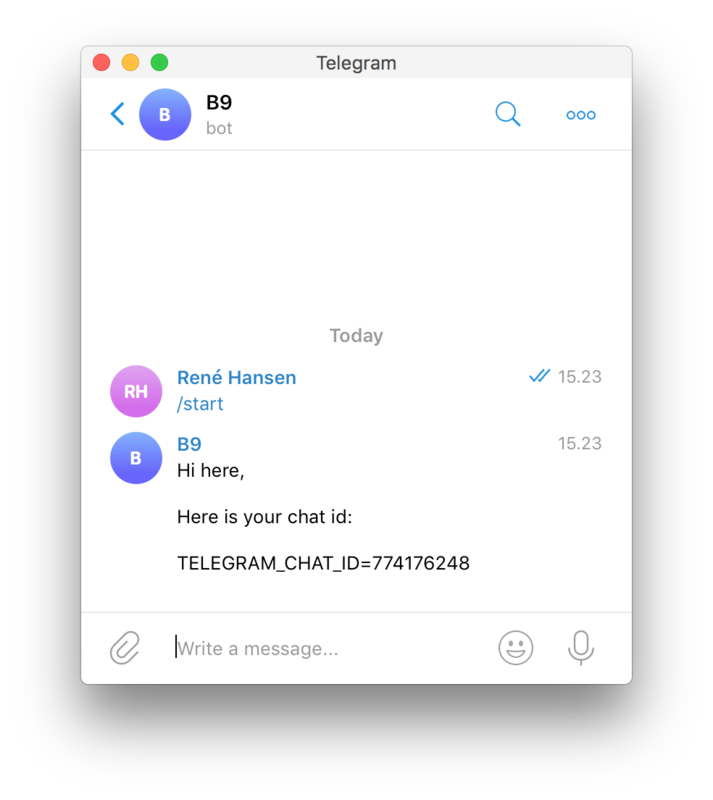 Next open a chat with the newly created bot. Here you need the name you chose in step 3. 7. Upon joining the chat with the bot, you will be given the chat id we need. 8. Copy the chat id into the .env file, as you did with the api key and you're all set. Now Pong will send you notifications via this chat. This app uses the default minitest framework. In development mode, a test compose service with a spring preloaded environment is added for running tests faster. Key value store running redis. A worker instance, running a resque worker. A static job scheduler running resque-scheduler. A test instance, with a preloaded spring environment. Remember to create and initialize the database as well. 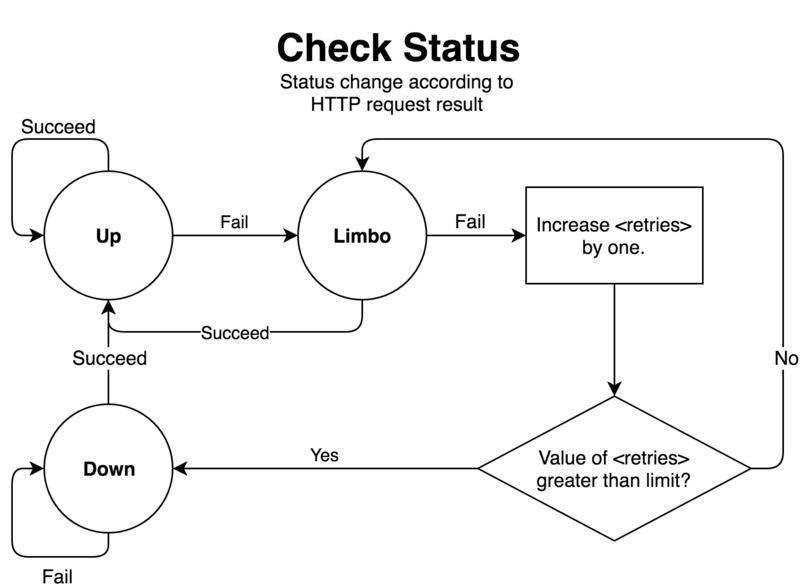 One thing to note, is that when a check is either in limbo or is down, its interval is disregarded, and a request is triggered every time the queue job is running, which is roughly once every minute.